Margaret Armour was the third child and first daughter of Alexander Henderson Harry Armour (1825-1879) and Christina Stewart (1828-c.1890s), who were married at St. Ninians, Stirling, Scotland on 2 September 1855. She had two older brothers, and two younger sisters. She was educated in Edinburgh, Munich and Paris. She married William Brown MacDougall (1868-1936) in a civil ceremony in Glasgow on 11 May 1895, and a church ceremony followed at Morningside Parish Church in Edinburgh on 8 October 1895. Margaret was a poet, novelist and translator. Her first book was The Home and Early Haunts of Robert Louis Stevenson (1895), which she followed with some books of poetry, Songs of Love and Death (1896), Thames Sonnets and Semblances (1897), and The Shadow of Love and Other Poems (1898). A novel, Agnes of Edinburgh, appeared in 1910, and she translated the poetry of Heinrich Heine for the final three volumes of the twelve volume set of The Works of Heine, published between 1892 and 1905. 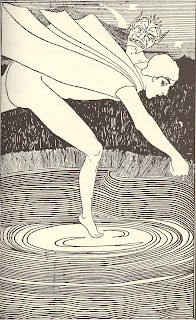 Her translation from the Middle High German of the Nibelungenlied into what she called “plain prose” first appeared as The Fall of the Nibelungs (1897). It was later included in the Everyman’s Library, with subsequent editions retitled as The Nibelungenlied. Similarly, her translation of Gudrun, which was published in 1928, also appeared in the Everyman’s Library. 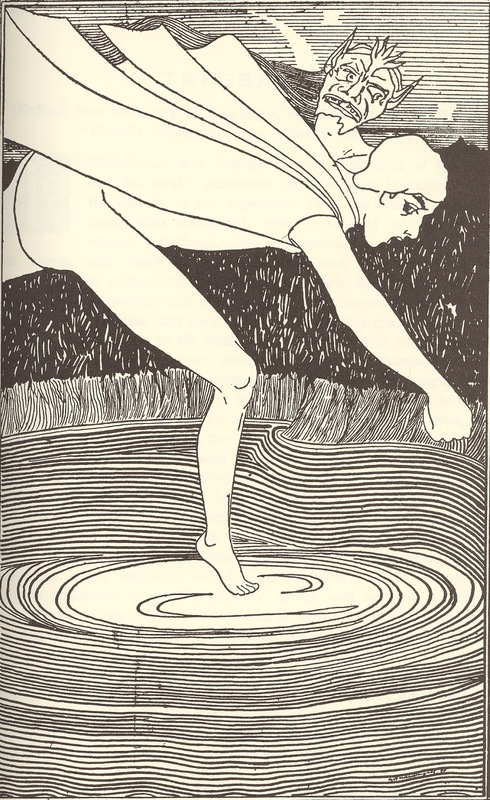 Along a similar vein of interest, in 1910 she translated Richard Wagner’s The Ring of the Nibelung. 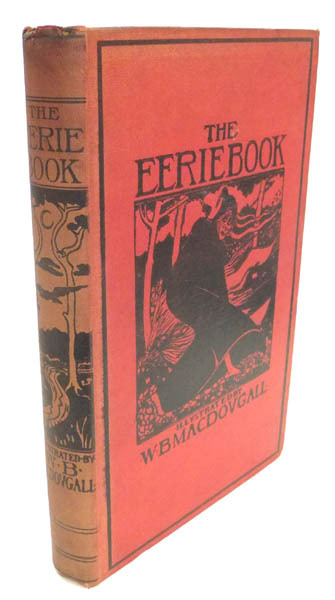 Margaret’s husband, an etcher, engraver and illustrator, was frequently involved with her books, signing his work as W. Brown MacDougall or W.B. MacDougall. He was educated at the Glasgow Academy and in Paris, and in the mid-1890s he contributed to The Yellow Book, The Evergreen, and The Savoy. His work is mostly symbolic, and frequently somber. 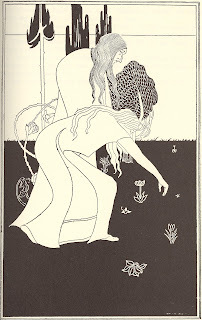 It sometimes has echoes of Aubrey Beardsley, but MacDougall never matched Beardsley’s height of execution. 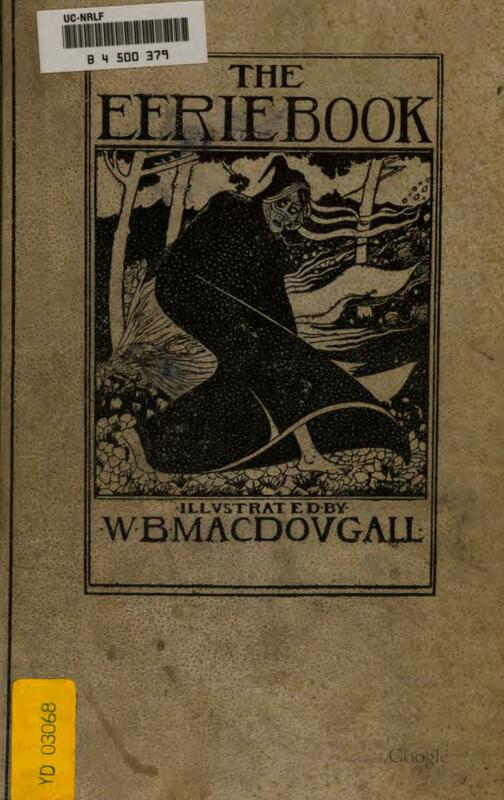 MacDougall provided a frontispiece illustration of Robert Louis Stevenson for his wife’s first book, and illustrated her poetry volumes and the translations from medieval German. 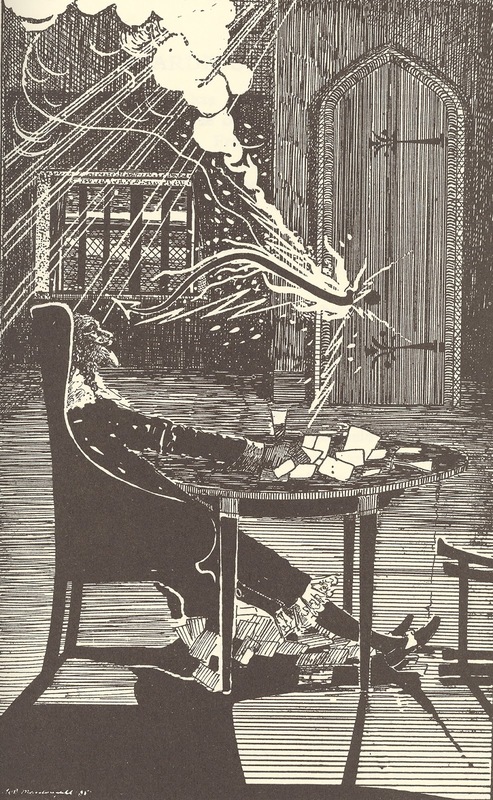 MacDougall also illustrated Margaret Armour’s one anthology, The Eerie Book (London: J. Shiells and Co., 1898), which contains works by Edgar Allan Poe, Hans Christian Andersen, George W.M. 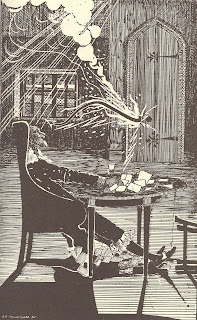 Reynolds, Catherine Crowe, and extracts from works by Mary Shelley, Friedrich de la Motte Fouqué and Thomas De Quincey. To the modern reader this compilation is dated and unsatisfactory, though at the time of publication it may have broken new ground. The dozen and a half illustrations (including the cover) range from the truly crude to the competent (see below). 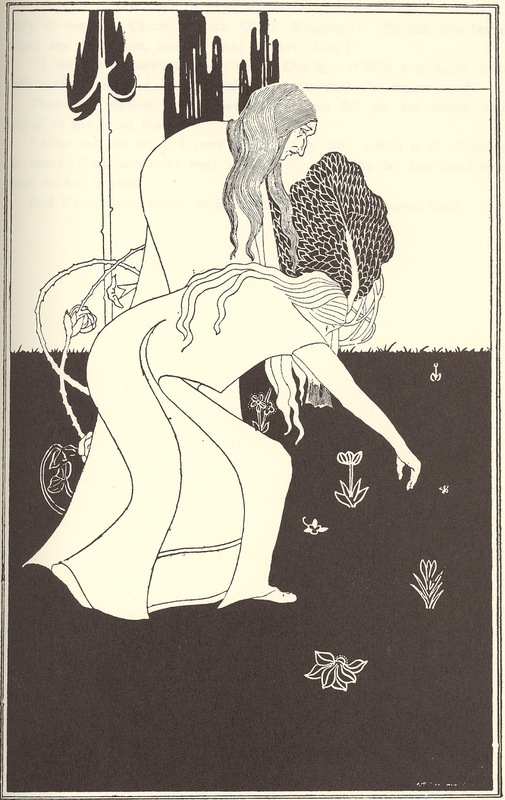 One of the illustrations in particular evokes Beardsley. Around the turn of the century, Armour and MacDougall settled in Essex, first in Chingford, and soon afterwards in Debden Green, where MacDougall died on 20 April 1938. Armour returned to Edinburgh, where she died in 1943. They had no children. Illustration for "Tregeagle" extracted from Robert Hunt's "Popular Romance of the West of England"
Thank you; I have wondered for a long time who the translator was, who wrote the English text for the Arthur Rackham illustrated "Ring". Now I know (obviously the interesting bits: her name appears on the book!). Presumably the commission from the publishers was partly the result of her having already published a version of the Niebelungenlied.